HONOLULU — Gov. David Ige today announced the appointment of Dr. Virginia “Ginny” Pressler, MD, MBA, FACS as director of the Department of Health (DOH). Dr. Pressler’s appointment is subject to confirmation by the State Senate. The appointment marks a return to the DOH for Pressler. From 1999-2002, Pressler served as deputy director for Health Resources Administration. During that time she was instrumental in obtaining sixty percent of the $1.3 billion tobacco settlement fund for public health purposes and initiated the Tobacco Trust Fund, Healthy Hawaii Initiative, Hawaii Outcomes Institute and Hawaii Uninsured Project. 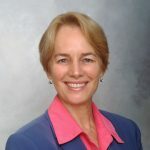 Pressler earned a BA degree from Cornell University; and she also earned an MBA, MS in physiology, and MD degrees from the University of Hawaii at Manoa. She is currently the executive vice president and chief strategic officer at Hawaii Pacific Health, the largest healthcare provider in Hawaii. Over her career, Pressler has earned numerous local and national awards including the Pacific Business News’ Business Leadership Hawaii Lifetime Achievement Award, University of Hawaii Distinguished Alumni Award, and the American Cancer Society’s St. George National Award. She was also named Hawaii Medical Association’s Health Care Administrator of the Year in 2008 and the American Hospital Association Grassroots Champion in 2007.